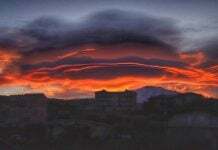 In this geoengineering time period, such weaponized clouds will form more often around the world. These were captured by Denis Kholod over Smela, Ukraine on January 8, 2018. 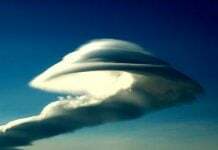 Some strange clouds formed in the sky over Ukraine on Jan 8. 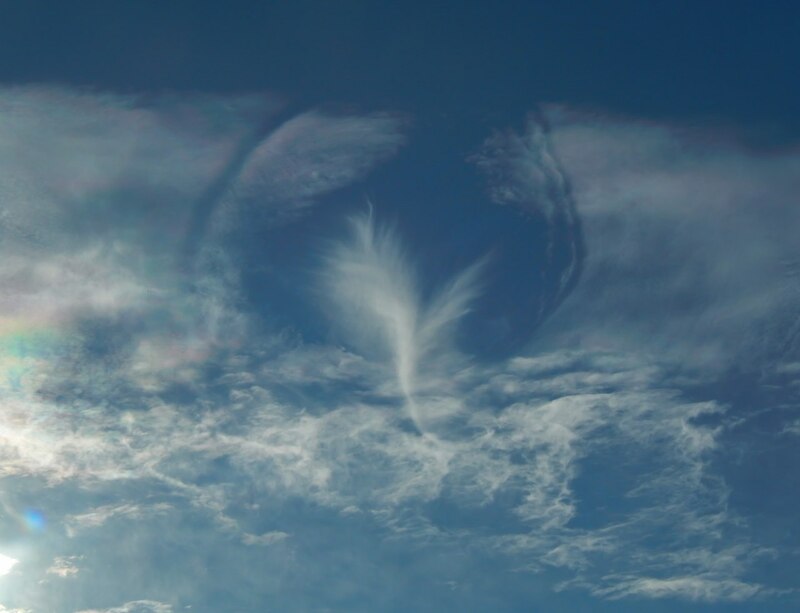 The weird cloud formation is similar to a bird in a cloud hole. It’s a sign, a beautiful sign. 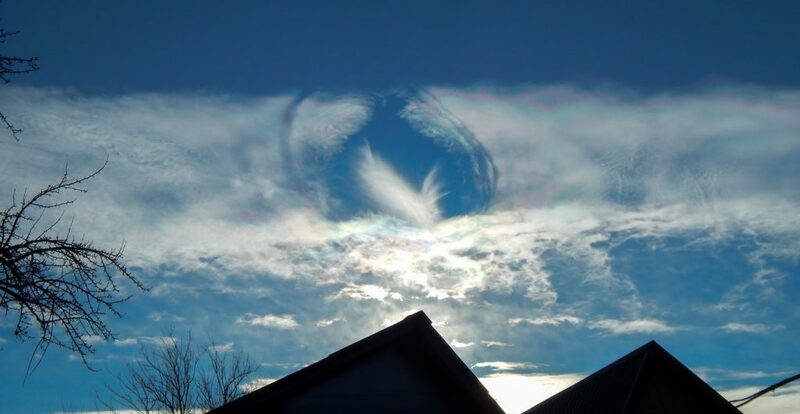 Just another geoengineered falstreak hole? 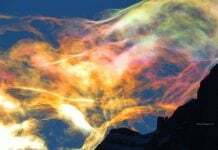 Do you believe in geoengineering? 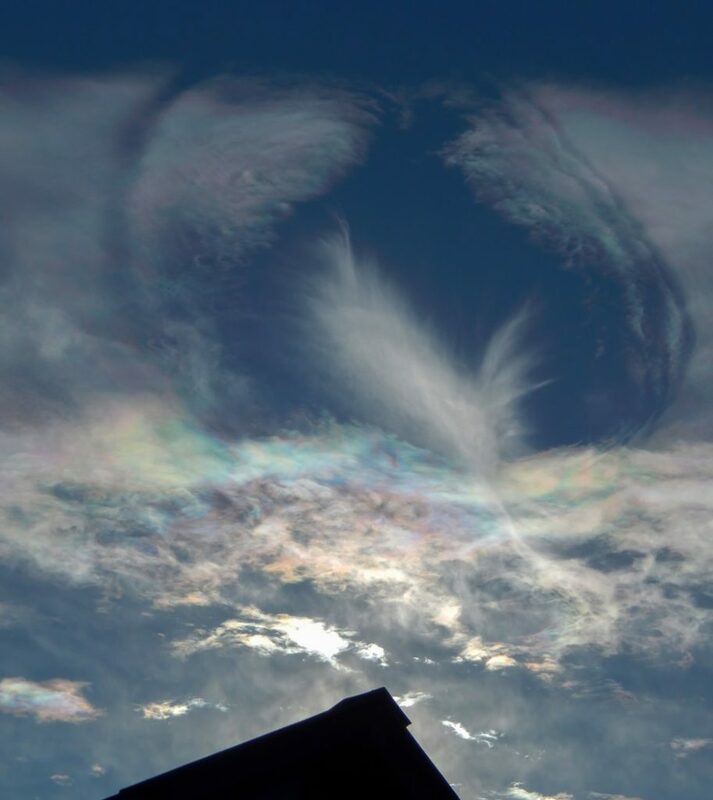 Is this weird cloud a sign of weaponized weather? It’s perfectly natural. Not a “weaponized cloud”, lol. 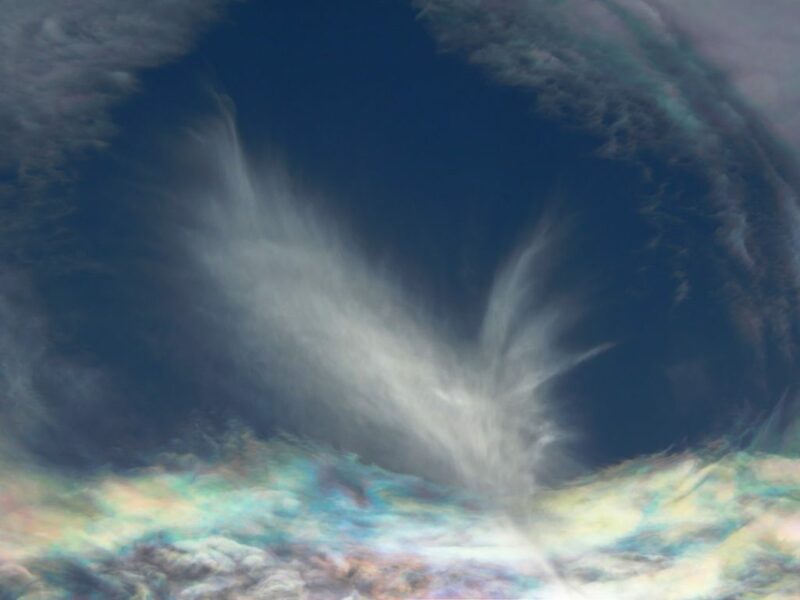 They are hole-punch clouds, formed when super cooled water droplets in a cloud suddenly begin freezing into a cirrus cloud in a cascade effect. Science, guys. Really Greg?! what’s so “perfectly normal” about those those things that have never been around while I was growing up?